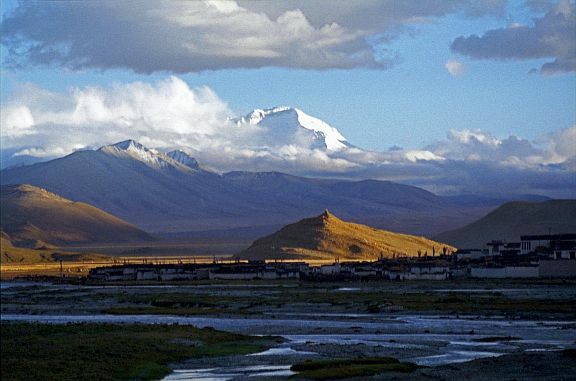 Cho Oyu is the world's 6th highest peak and is in the vicinity of Mount Everest. The name means "Turquoise Goddess." The peak is 26,906 feet (8,201 m.) above sea level, and is considered the easiest to climb of the 8,000-meter peaks, and is often a climber's first experience with an 8,000-er. 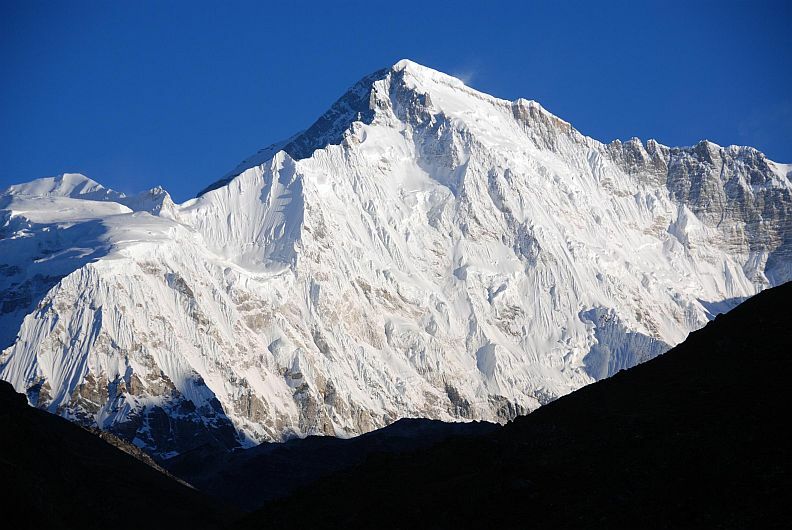 It was first ascended in 1954 by an Austrian expedition, including Herbert Tichy, Joseph Joechler, and Sherpa Pasang Dawa Lama.